Police have searched a Berkley home as they investigate the disappearance of Danielle Stislicki. 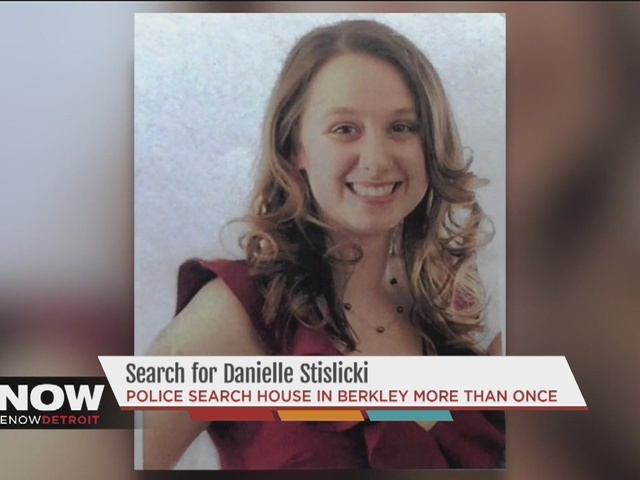 A home in Berkley where a security guard lives with his wife has been searched multiple times in connection with the search of missing Danielle Stislicki. Stislicki was last seen on December 2 as she left work at Metlife in Southfield. The security guard also works, or worked, at Metlife. An attorney for the man says, like any other citizen, he has the right to not talk to police and that he has nothing to say to them. He has not been arrested. Thursday night, Farmington Hills Police and crime scene investigators returned to the man's home on Oxford where they took a mattress as possible evidence. The man's wife had been in the hospital until Thursday. 7 Action News reached a woman by cell phone who we believe to be the man's mother, but as soon as reporter Kimberly Craig introduced herself, the woman ended the call and did not reply to a text message. Farmington Hills Police remained tight-lipped about their investigation, their chief only releasing the following statement. Farmington Hills detectives and members of the Oakland County Sheriff’s Office Crime Lab were at a home in Berkley last night investigating the disappearance of Danielle Stislicki. Farmington Hills detectives and investigators from several other agencies have been involved in searches and the collection of evidence at numerous locations over the past three weeks. Detectives, evidence technicians and crime lab personnel from several law enforcement agencies have been working tirelessly and remain committed to finding Danielle and solving this case. The investigation has been progressing since day one. I understand a caring public and media are anxious for information. However, no information will be released regarding the specifics of the case in order to maintain the integrity of the investigation. There will be no further information released at this time.